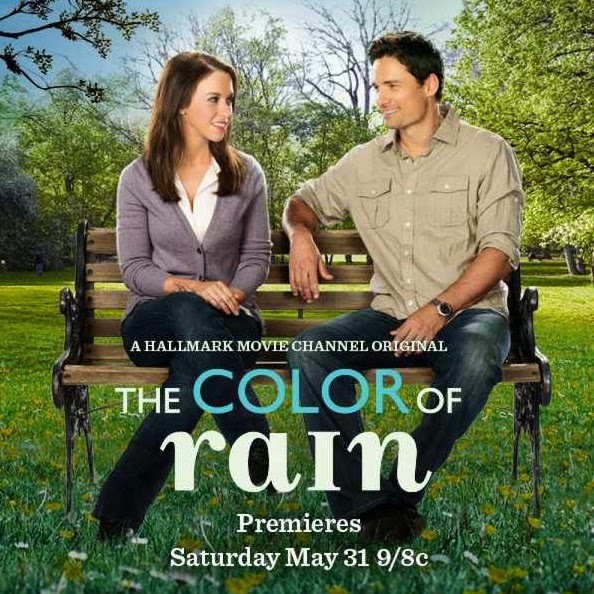 Inspiration, Romance, Faith, Mystery... find it all this Weekend in "The Color of Rain", "Signed, Sealed, Delivered", and "Love Finds You in Sugarcreek, Ohio"
in "The Color of Rain"
*Visit "The Color of Rain" page for more movie images & details! 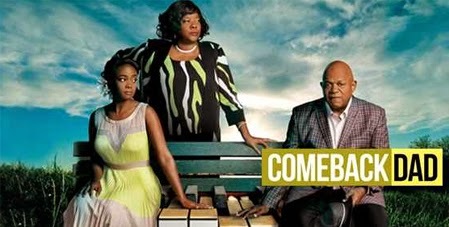 On Sunday Night, June 1, 2014...let the music carry you away in an All New "Signed, Sealed, Delivered"
Airs at 8 PM / 7c. 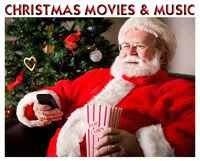 on the Hallmark Channel. 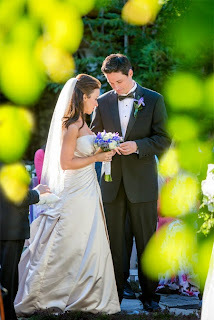 *Visit the "Signed, Sealed, Delivered" page for more details on this episode and upcoming ones, too! 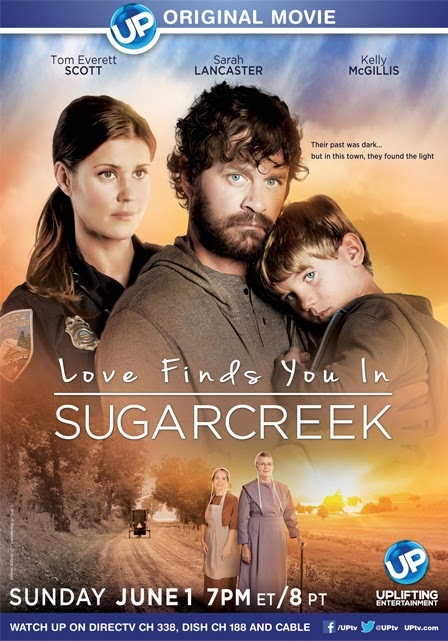 Also on Sunday Night...Don't miss the All New Suspenseful 'UP Original Movie'based in Amish Country:"Love Finds You in Sugarcreek, Ohio"Starring Tom Everett Scott and Sarah Lancaster! "Love Finds You in Sugarcreek, Ohio" - Storyline (via UP): Rachel Troyer (Sarah Lancaster) is a smart, focused, single policewoman in the quaint town of Sugarcreek, located in the heart of Amish country. She frequently looks in on her three kindly Amish aunts, who are the proprietors of a picturesque, although faded, farmhouse inn and raised Rachel from girlhood after she was orphaned. 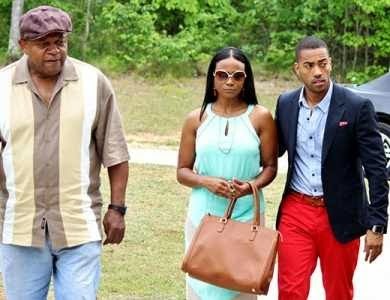 See the "Love Finds You in Sugarcreek, Ohio" page for more movie images & details! 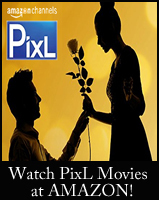 for more air times for these New Movies and more! starting this Sunday night on BYU-TV! 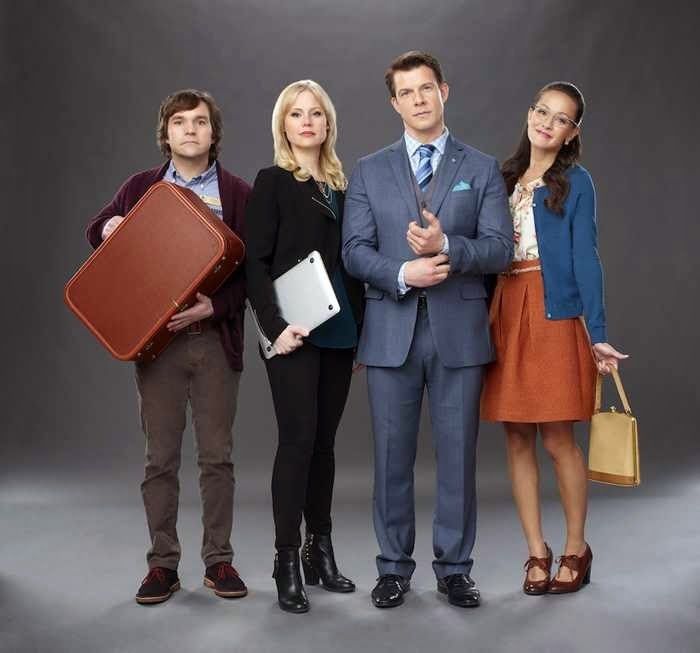 BYU will re-air the "Pilot" episode and the 2nd episode : "Empty Box" on Sunday June 1st, with repeat showings during the week, and it looks like further episodes of Season 1 will run on Sunday nights throughout June... Enjoy! please stop back by and let us know what you thought of it! 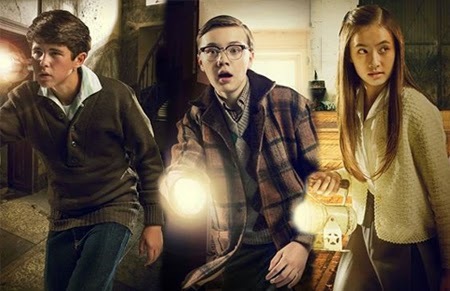 Issue with E-mail Updates for "It's a Wonderful Movie"
Thank you to Everyone who has e-mailed or left comments in regards to my Blog E-mail Updates not coming through to all of You! FeedBurner and I know, at times, in the past it has had issues, but generally it had been a reliable, free e-mail newsletter service, so I was fairly happy with it. (I mean, who can complain with free, right?) I was fine with it's few little kinks, until my e-mail updates completely stopped delivering. I have followed the advice of others on-line, who have given suggested fixes to this problem; therefore, I have been in the process of trying to test them, but none of them have worked. So, it looks like it's time, for me personally, to abandon the 'FeedBurner' ship! It was my hope, in the beginning, when e-mails stopped coming, that it would just be a short-term problem that they would fix, but it looks to be an on-going issue. On April 7, 2014 Yahoo Mail and other Free E-mail services, such as: Gmail, Hotmail, AOL, etc... switched to a DMARC policy. In a nutshell, they are trying to reduce spamming and phishing by eliminating newsletters being sent from a free e-mail service. However, it also seems that people who have switched to a paid e-mail are still having problems with e-mails going through. to decide which e-mail service I will use. Some of the ones I have heard others suggest are: Feedblitz, Mail Chimp, Mad Mimi, Constant Contact, and Aweber. If any of you, who have blogs, use any of these services, I would love to hear from you... which one you chose, how you like it, etc? Please share in the comment section below. Thank you all for your patience as I do my best to decide what to do next. It means so much to me that so many of you missed receiving my e-mail updates and took the time to contact me and let me know. I appreciate all of our support! 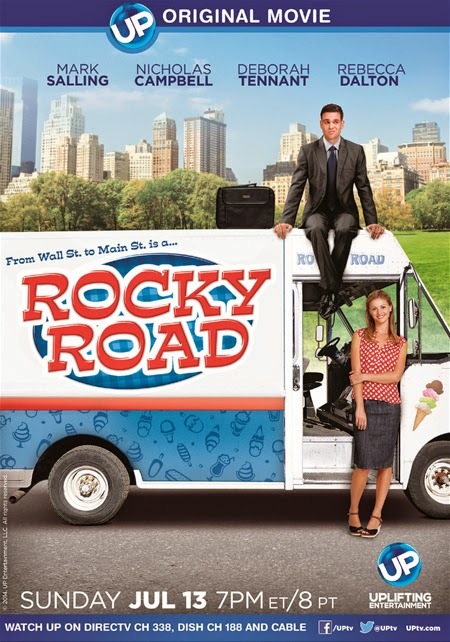 UP Original Movie "Rocky Road"
via UP: Harrison Castle has the corporate apartment, expense account and big office at his prestigious Wall Street firm. But it all comes crashing down in an instant when his firm suffers catastrophic losses and is forced to downsize. Harrison, now broke, returns to his parents' house in a quaint New Hampshire township. 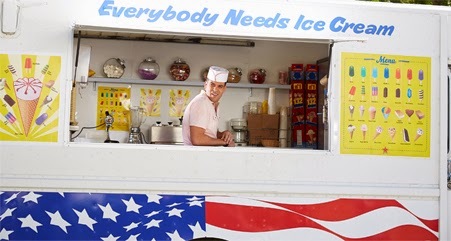 Harrison pretends that he is taking a long overdue vacation, when, in fact, he is living his worst nightmare – moving back with his parents and working his old route in his father’s ice cream truck business. 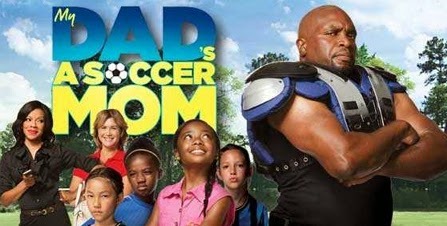 UP Original Movie "My Dad's a Soccer Mom"
Marion "Mad Dog" Casey is one of the biggest, baddest names in football. But lately his performance on the field has left a lot to be desired. Marion is cut from the team and no one else is rushing to sign him. He is not happy but his wife Holly, who has spent many years being a stay-at-home mom for their 10-year-old daughter, sees this as an opportunity for her to pursue her career ambitions in interior design. 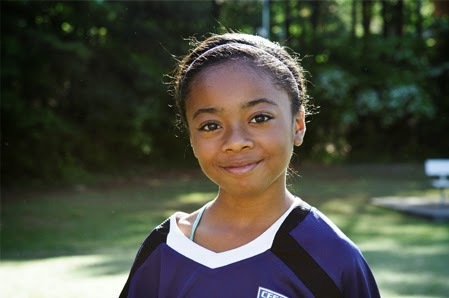 After chauffeuring his daughter to ballet and theatre class, Marion discovers that she has a knack for soccer. 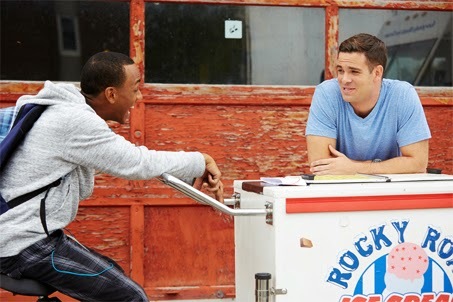 He signs her up and begins his new life as a Soccer Dad - the only 300 pound, overbearing, ex-NFL player in the group! As he navigates the trickiness of being a hands on parent, Marion discovers the joy of his new relationship with his daughter. 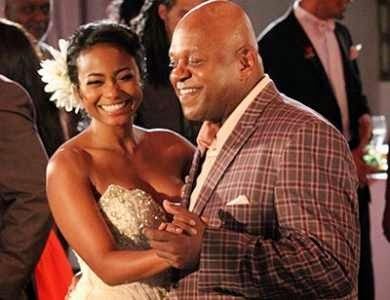 UP Original Movie "Comeback Dad"
(Via UP) Nima Babineaux looks like a woman who has it all – she is an accomplished pianist who runs her own music school and is engaged to Spence who adores her. But, in truth, she has never recovered from her alcoholic father walking out on their family and it has made it hard for her to truly trust anyone. When her father, Othell, decides it is time to make amends and tries to reenter her life, Nima begins an emotional and eye-opening journey she could have never expected. On this Memorial Day Weekend, may we remember our Military and their sacrifice for our Freedom. 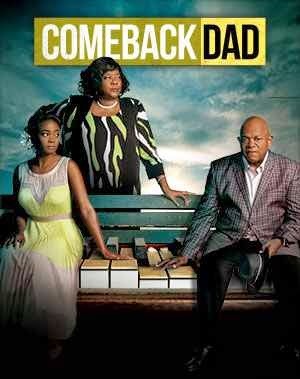 will premiere on TBN, this weekend. free expression, and taking a stand for cherished beliefs. 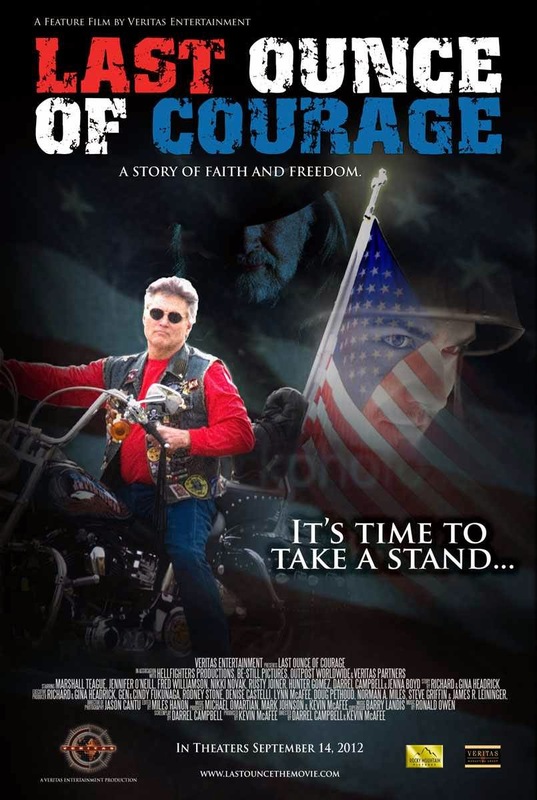 See my page on Last Ounce of Courage for movie details. and in Eastern Standard Time at 1 AM. and in Eastern Standard Time at 5 PM. 25th annual "National Memorial Day Concert" on PBS. for the ninth consecutive year. 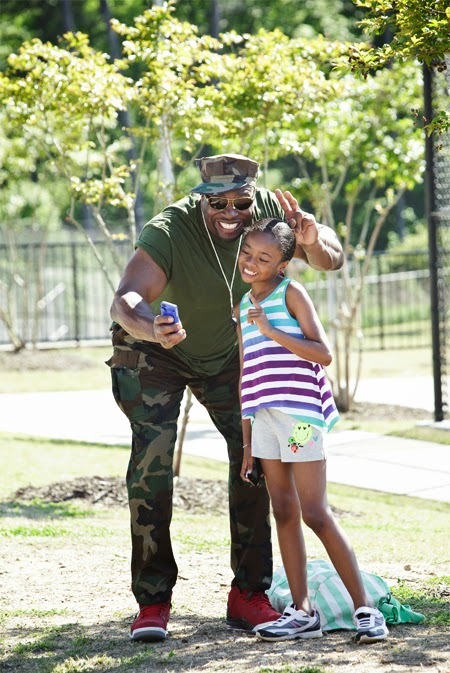 "Each year, the National Memorial Day Concert presents a unique program honoring the valor and patriotism of Americans who have served our country. 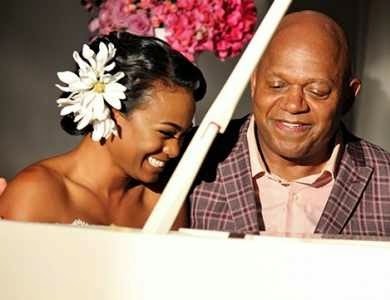 The show pays tribute to their sacrifices, as well as those of their families and loved ones. In relation to Memorial Day... two recent episodes of Signed, Sealed, Delivered had patriotic story themes: Episode 2: To Whom It May Concern: "The postal detectives are inspired by their supervisor to take a risk to save the life of an army veteran" and Episode 5: The Edge of Forever: "A letter from beyond the grave brings new life to an estranged family". This story includes the tragic events of September 11, 2001. You can watch these episodes (and more) online, at Amazon. will air Sunday Night on BYU-TV. 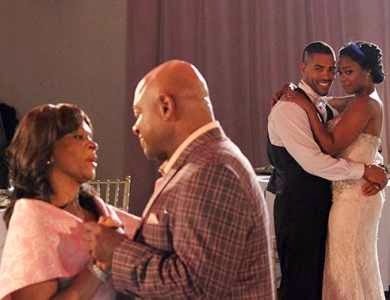 Episode 8: Beth, Whittison and the Andrews turn the tables on Ashmeade, suspicions arise about Professor Hargraves, and Timmy and Madeline find what everyone has been looking for in the Season 2 finale. 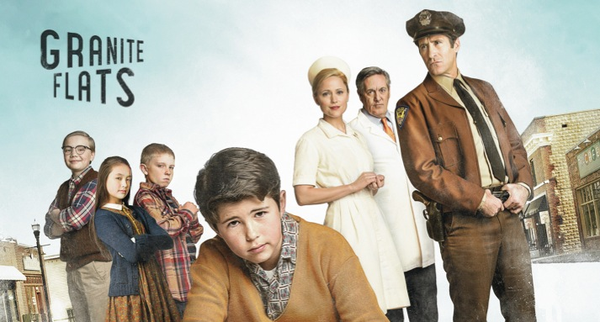 There are Patriotic American themes throughout the dramatic story of Granite Flats. 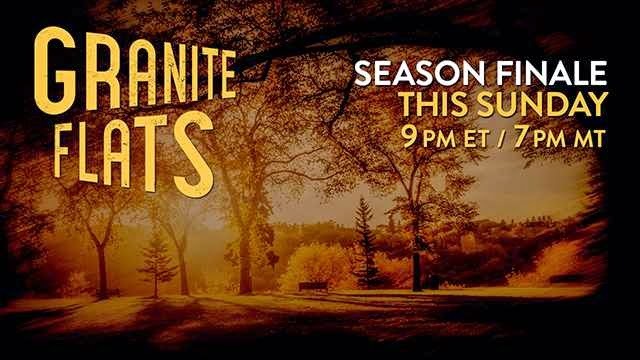 It's the 1960's and the Feds, and local law, are searching for communists and spies at the Army Base and Hospital in the small town of Granite Flats, Colorado. 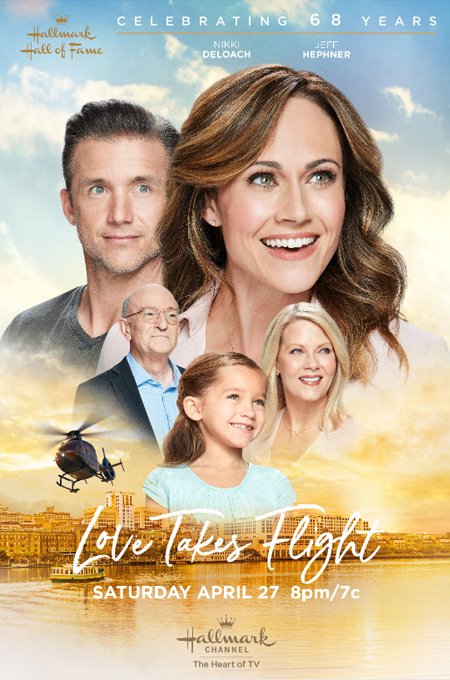 This movie also stars James Denton (Grace Unplugged). Airs Monday, May 26, 2014 at 9 PM est. on INSP. I hope you all have a nice Memorial Day Weekend. Thank You to ALL, who have served our Great Country. 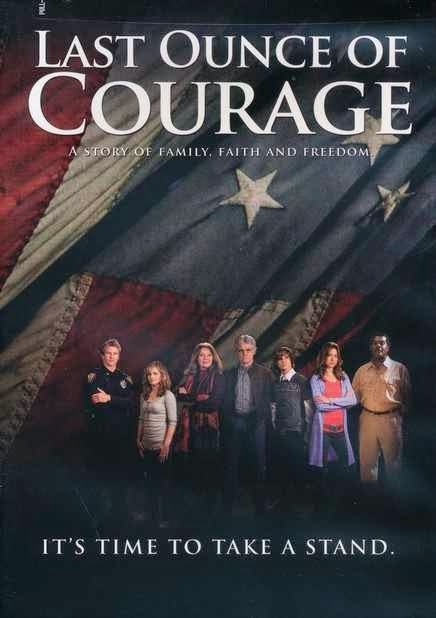 Patriotic Movie "Last Ounce of Courage"
Last Ounce Of Courage is an intergenerational story about family, free expression, and taking a stand for cherished beliefs. A family is struck by tragedy when a young man is lost in combat overseas, leaving behind a wife and young son. 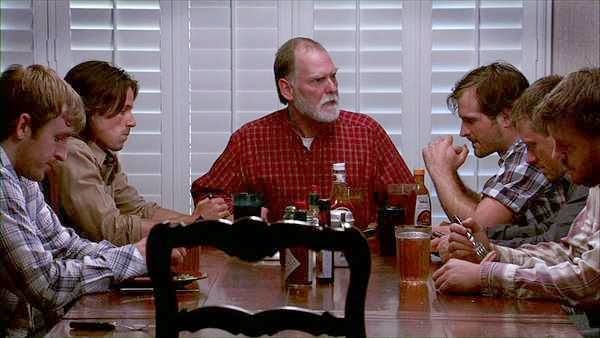 Years later, the fallen soldier's father, Bob Revere, serves as mayor of a small town where powerful Washington interests seek to stamp out religious expression. 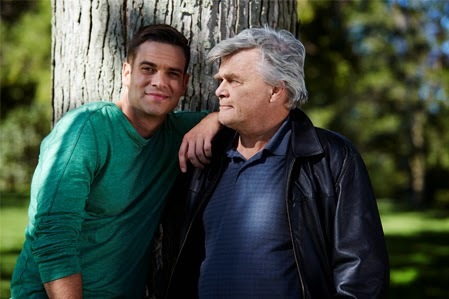 The soldier's son, now a young man, inspires his grandfather to take a stand for the ideals and traditional values that our heroes in uniform sacrifice everything to protect. In honor of his son, Revere embarks on a personal mission to reignite the latent patriotism and faith of his fellow citizens and reassert the cherished rights guaranteed to all Americans. 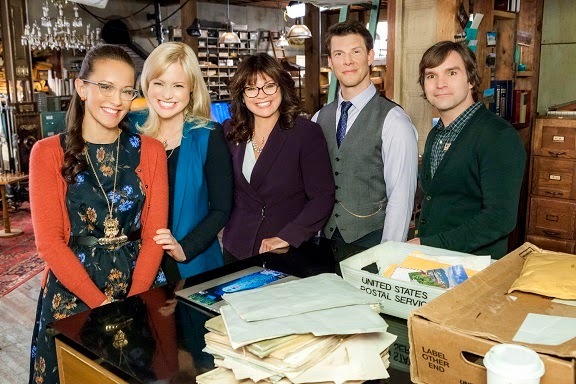 The Guest Stars of "Signed, Sealed, Delivered"
The Television Series "Signed, Sealed, Delivered" has had and will continue to have throughout it's first season - wonderful guest stars on their show. Daphne Zuniga starred in the original pilot movie, as the first postal supervisor, but since the weekly series began, the role has become a revolving door of celebrities. 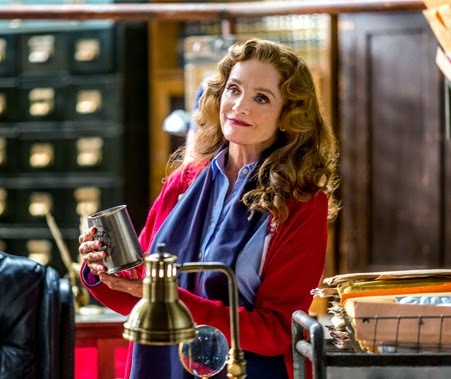 Valerie Harper portrayed the role in Episodes 1 & 2, as supervisor Theresa Capodiamonte, who challenges them, inspires them, and then decides to leave the post office and follow her dream, on the stage. I must add... it was wonderful to see Valerie looking so healthy, vibrant, and full of life! In episodes 3 & 4... 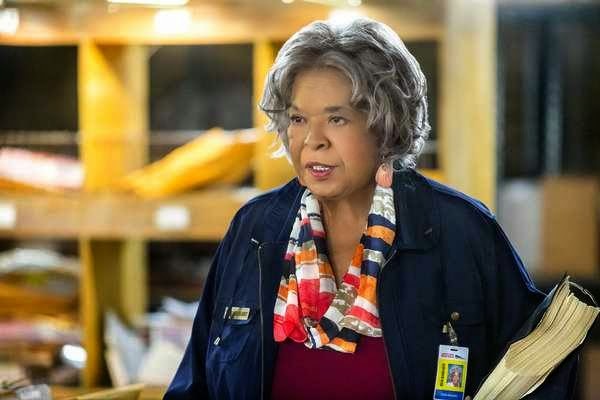 Touched by an Angel star Della Reese appeared as the new Supervisor, Cora Brandt. She was, at first, strict in her ways, but then she became so engrossed in reading Rita's book, that her duties at the post office were put on hold. 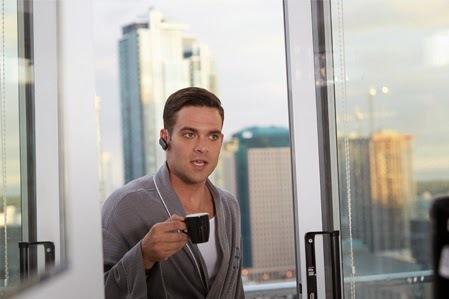 Cora leaves at the end of episode 4 - on her way to write her own memoir. I hope you will enjoy seeing these Wonderful Guest Appearances on "Signed, Sealed, Delivered", the creative weekly drama series, Sunday Nights on the Hallmark Channel. 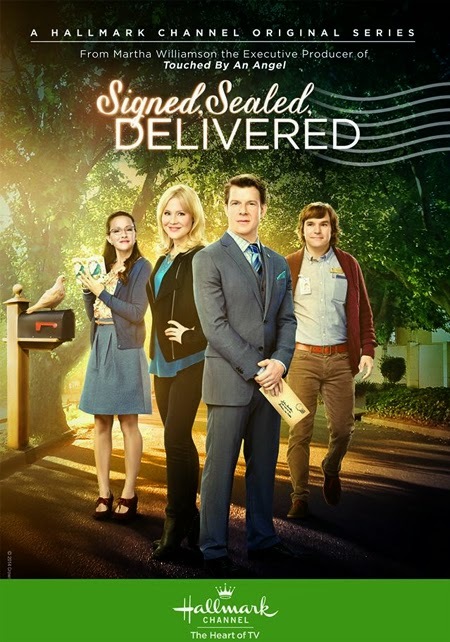 Please see my page on "Signed, Sealed, Delivered" to read my review of this series and more! "Garage Sale Mystery" released today on DVD! Garage Sale Mystery is available, as of today, on DVD! 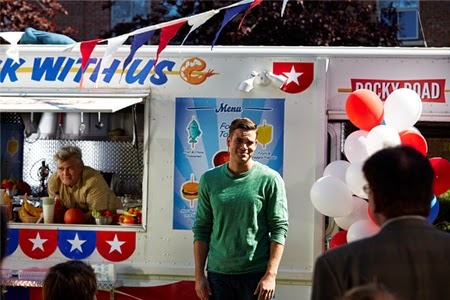 Viewers were instantly taken with "Garage Sale Mystery"
Due to the movie's popularity, the Hallmark Movie Channel will air in 2015, a series of Mystery Movies, including a continuation of the "Garage Sale Mystery" movies. and you will also support this site. 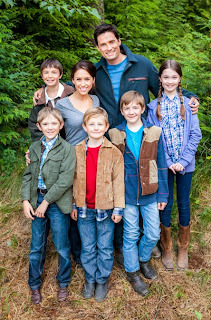 *For more information about the Mystery Movie Series coming in 2015 to the Hallmark Movie Channel, please see my previous post: Can you solve this Hallmark Movie Mystery? I received an e-mail from Amy, one of my blog followers, in regard to AT&T U-verse not carrying the Hallmark Channel. Even though I do not personally have this cable provider, I long to help her and others with their mission to encourage U-verse to carry the Hallmark Channel again. Thank you for your fun, wholesome blog! But, many of us don't get to watch all the great movies and shows on the Hallmark Channel because we have U-Verse, and it is very, very frustrating! I spoke with a nice lady from the Hallmark Channel last week, and she said that getting back onto U-Verse is their #1 goal this year. I am so glad to hear that! Anyone can take the survey it appears - even those who don't subscribe to U-Verse. Anything you can do to help publicize/support/get the word out about this would be so appreciated!! The more people who contact AT&T and take the survey, the better. I also emailed the CEO, randall.stephenson@att.com and think that is another great thing for people to do to voice their desire for them to carry the Hallmark Channel. Thank you, thank you. God bless you! 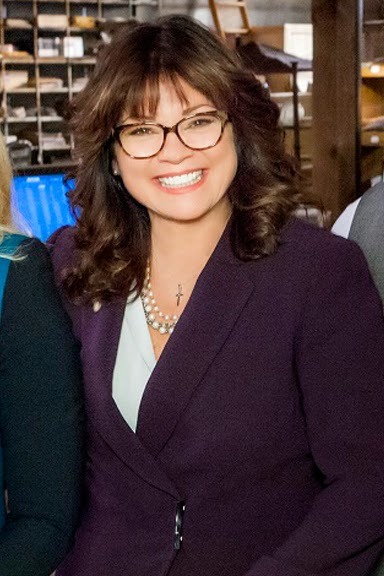 Amy"
I hope this is helpful information for all of you who are hoping to have the Hallmark Channel and Hallmark Movie Channel return to U-verse. Please be certain, to take the survey, here: http://uversechannels.att.com/channel-survey and take a few minutes to give them a call at 1-888-MADE-4-FAMILY, and share with them that you want family programming back... you want the Hallmark Channel to return to AT&T U-verse. Hope this helps you, Amy, and many other AT&T U-verse Subscribers, in your endeavor! *UPDATE - Merger News: AT&T has agreed to buy DirecTV for $48.5 million. 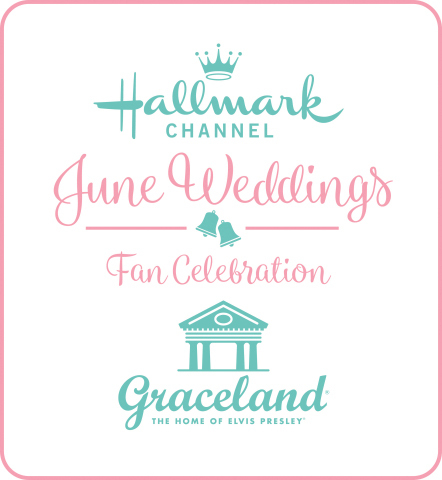 I hope this means we will get to keep the Hallmark Channel on DirecTV, too! 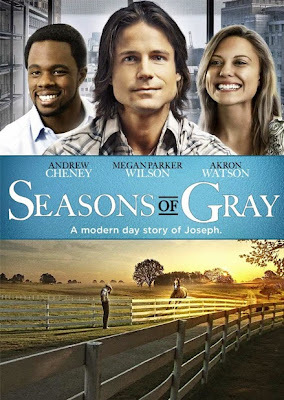 New This Weekend: Two TV Dramas the family can watch together + see the faith-based movie, Seasons of Gray! at 8P/7c and repeats at 10P/9c! "MAY" you all have a Wonderful Weekend! 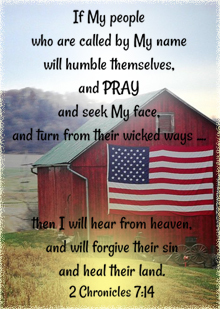 What man intends for evil, God uses for good. Brady Gray was always the favorite son. Overcome by jealousy, his brothers resort to an unforgiveable crime to drive him away from their father's ranch. Brutally beaten and hauled away to an uncertain destiny, Brady chooses to forget the past and start anew. Yet his troubles are just beginning. Falsely accused of assaulting his new boss's wife, he ends up in prison. Daring to believe there may be some purpose in his suffering, he's given a chance to turn his life around. At long last, success brings him the opportunity to decide the fates of the men who wronged him. But what man intends for evil, God uses for good. This simple, yet powerful, message is all he has left. Brady must now decide whether acts of cruelty or the hand of Providence will mark the seasons of his life.